Please read the guidance notes which explain how to complete this form. For most fields you must click in the box to enter the text (where it says ‘Click here to enter text’). For some fields, you must choose an item from a drop down menu (where it says ‘Choose an item’). Once you have submitted your applicaiton you will receive an e-mail detailing your responses and there will also be a link in the email to edit your submission. Indicate the local authority area. 2.1 Provide details of the grant applicant. 2.2 Provide details of the organisation holding the grant if different from the grant applicant in 2.1. If completed, this organisation must also complete the Conditions of Grant. Leave blank if not applicable. 2.3 Details of the bank account into which the grant will be paid. 2.4 Provide at least two contact email addresses. At least one must be used by a parent carer involved in your local parent carer forum. E-mail for Grant holding organisation, if different. Please choose your regional advisor's e-mail address, this is so your submission can be recieved by them and they can discuss any amendments that need to be made. You must include a copy of the policy when you submit your grant application. If you do not have a policy, speak to your Regional Parent Carer Advisor in the first instance. The maximum file size that can be uploaded is 5MB, if you are trying to upload a PDF and it exceeds this file size, try sending the Word document as these generally take up less space. Did you recieved additional funding? Who provided your additional funding? Were they any special requirements on how to spend the money? If so, please specify. Does your local authority/health provider fund a paid participation worker who supports the work of the forum? 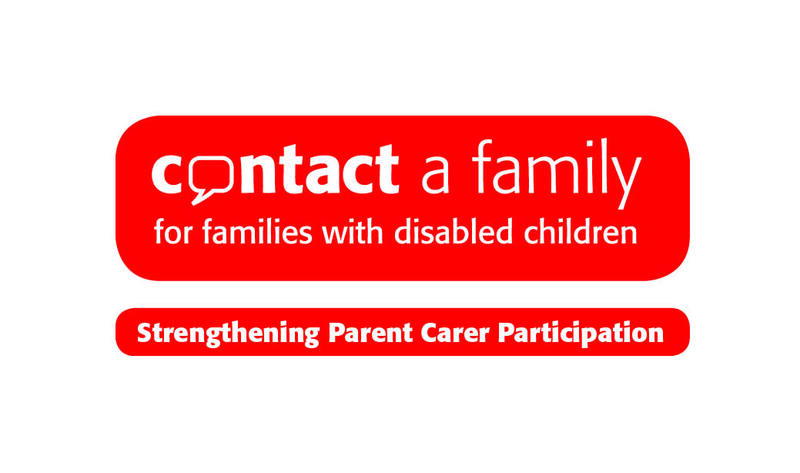 Are they solely working with parent carers of disabled children? Does your local authority, health provider or any other organisation provide any other resource eg rooms for meetings, photocopying? Does your local authority/ health provider provide a payment to parent carers who sit on strategic decision making boards/ committees? Complete the summary budget table. You can claim a grant of up to £15,000. This can be used for a number of different types of activities, goods or services. Most will fall under one of these headings. Choose the relevant heading and enter the amount claimed. If you choose ‘other’ for any items, you must include a description in the budget breakdown box in Section 5 below. Please refer to the guidance notes to read more about the kind of items that should and should not be included and that meet the Conditions of Grant. Note that the National Parent Carer Participation Conference and NNPCF AGM will be held on October 8 2015 at the Camden Centre in London. You should consider including resources in your application to enable one or two members of your forum to attend this. 5.1 For each item of spend identified in Section 4, provide a description, the budget breakdown, outputs and outcomes associated with it. 5.2 How does this build on what has happened previously? If neither of the organisations in Section 2.1 or 2.2 is the local authority, you must obtain their support. Ignore this section if grant applicant or grant holding organisation is the local authority. If neither of the individuals in Section 2.1 or 2.2 is themselves a parent carer involved with the forum, you must obtain the support of at least one parent carer, preferably one of the forum’s officers (eg Chair, Secretary, Treasurer). Ignore this section if the signatory in Section 2.1 or 2.2 is a parent carer involved with the forum. This grant funding agreement sets out the terms and conditions for the payment by the Secretary of State for Education of a grant to Organisation named below of monies voted by Parliament under Section 14 of the Education Act 2002. For the 2015/16 financial year payments are included in Estimate Line 37 Early Years (Department). Organisation named below shall have regard to HM Treasury guidelines in the procurement of goods and services for which it receives grant so as to secure best value for money. In particular, contracts of work, equipment, stores and services etc awarded by Organisation named below shall be placed on a competitive basis, unless there are good reasons to the contrary. Tendering procedures shall be in accordance with the EU Procurement Directive and UK Procurement Regulations where applicable and any additional guidance issued by the Department. Organisation named below shall not make any advance payment, any interim payments or enter into any deferred payment arrangements without the prior written consent of the Secretary of State. To comply with condition d, you will need to supply a list of those senior officers of the association, with specimen signatures, who are authorised to sign grant claims, being the [Role/Title stated below] of Organisation named below. The Secretary of State's representative and the [Role/Title stated below] of Organisation named below signify below, and on a duplicate copy, their acceptance of the terms and conditions of this Funding Agreement which become effective from the date of signing. This agreement shall be held by Organisation named below and the duplicate copy by the Department. How did you find the online grant application process?